Sousa, MF. 1675. Asia Portuguesa, Vol 3. 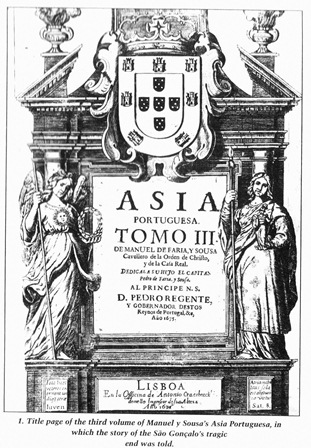 Manuel de Faria e Sousa (1590-1649) was a Portuguese historian and he published his Asia Portuguesa in three volumes in Lisboa between 1666 and 1674. These volumes describe the history of Portuguese conquests and administration in Asia. The volumes are illustrated with a series of woodblock portraits of the explorers discussed. Volume 3 contains the details of a shipwreck off South Africa. Friar Francisco dos Santos was a Portuguese priest on the ship San Gonzales and he kept notes on a journey from Portugual to Goa in India and back, via the Cape. On its return voyage the ship with about 200 sailors had to cast anchor in Formosa Bay (=Plettenberg Bay, South Africa), due to serious leaks, in June 1630. Before the ship was fully repaired, a storm destroyed it with half the crew. The survivors built a temporary settlement while building two ships for their escape. While stranded on land for 9 months, Santos wrote about the fauna and flora, the earliest record for the region. A part of the translation is shown (above) - different authors have correctly identified the birds as Cape Weavers. Vol 3 of Asia Portuguesa can be downloaded (see link above) - the cover is shown right. This is the earliest reference to an identifiable weaver in Africa (to my knowledge). The record also has an accurate location - Plettenberg Bay - and date - between June to December 1630 (the sailors were in Plett for 9 months from June but the breeding season of Cape Weavers ends in Nov/Dec). There are several books that retell this story, including the reference to the weaver nests. The most detailed account was by Storrar P. 1988. Drama at Ponta Delgada. Shipwreck in Plettenberg Bay. 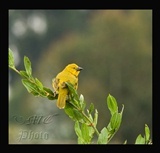 The Cape Weaver is still very common in Plettenberg Bay and there are several PHOWN records here.